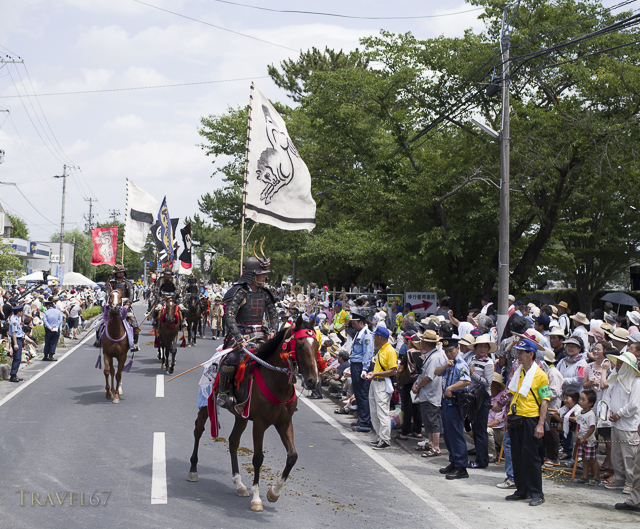 On day two of the Soma Nomaoi festival, the riders parade back to the Higarigahara-Saijochi horse racing ground from their respective hometowns. Once at the ground everyone starts to get organized. 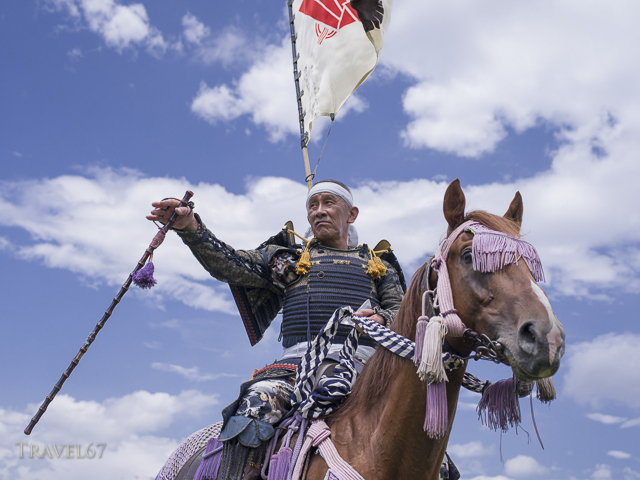 Samurai on giant horses shouted instructions. 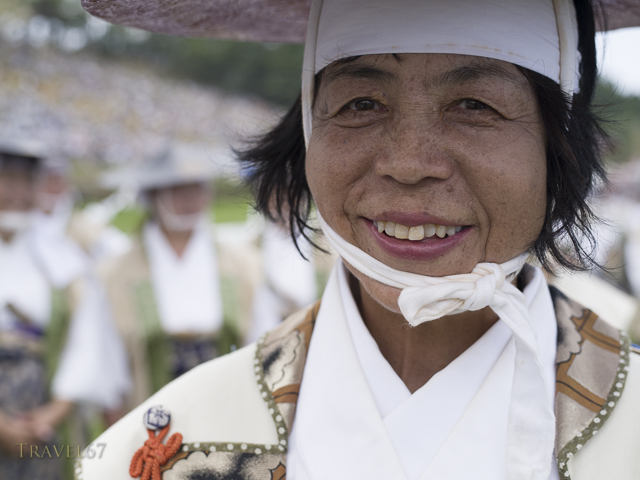 Others put the final touches to their armor. 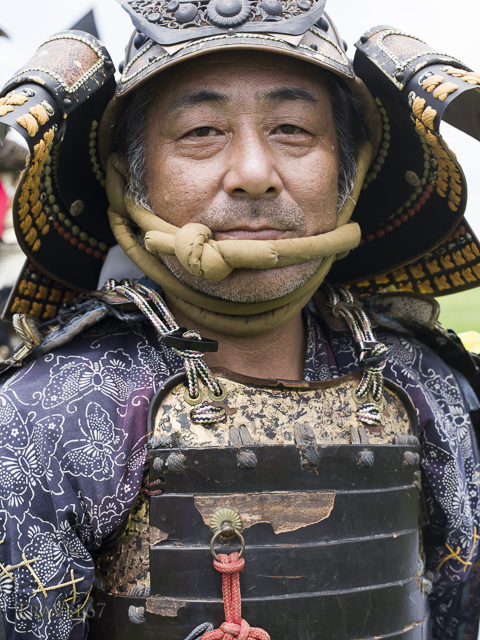 There were plenty of aging samurai preparing for battle. Some took a quick break from the heat for refreshments. 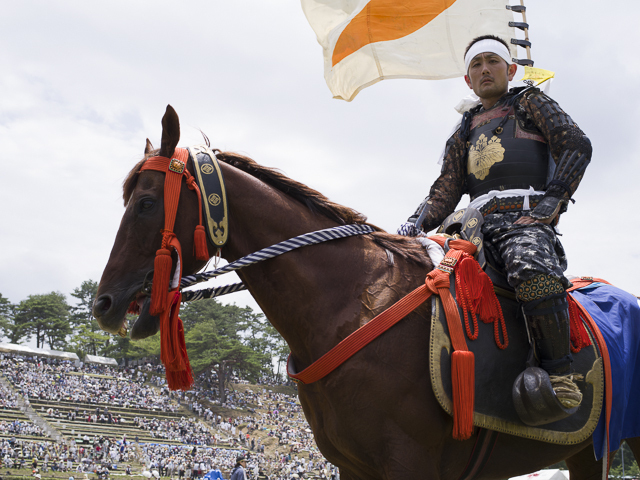 This shot sums up how I, or probably any foot soldier, feels when standing next to cavalry. 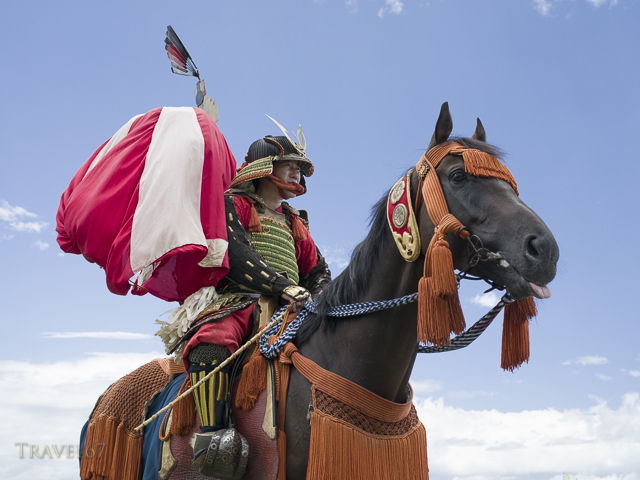 You’re small, vulnerable, and fully aware why a horse is far more useful than any kingdom. 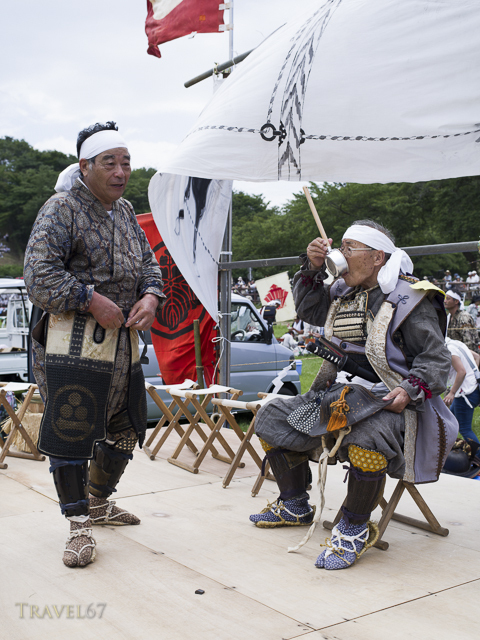 Following the samurai are those offering spiritual protection. 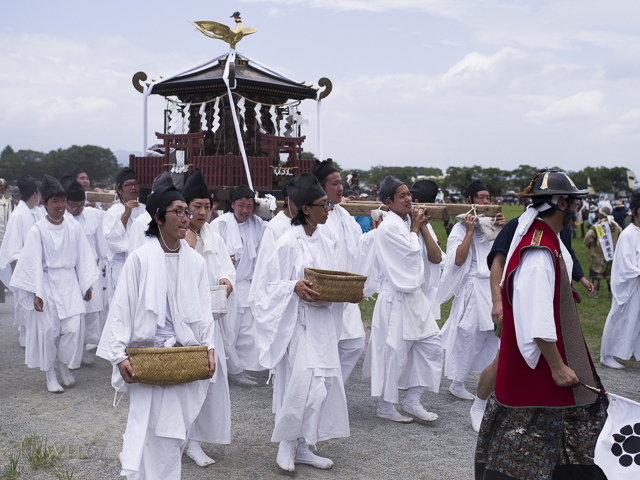 Ladies performed a traditional sacred dance, and mikoshi (portable shrines) were carried into the arena. Armor on, flags unfurled, prayers offered, time to ride.